You care about the environment. You recycle. You turn off the lights when you leave the room. You diligently use a metal straw and reusable cup for your morning iced coffee. But really, you want to do more -- sometimes it’s just hard to know where to start. 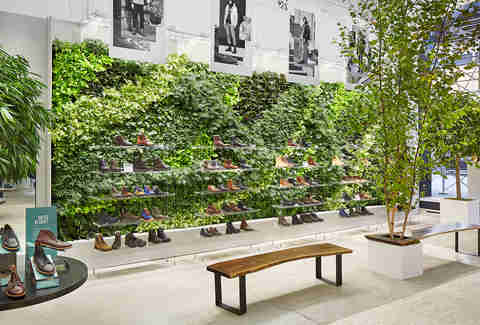 Like you, Timberland is committed to making cities greener, which includes finding ways to celebrate nature in urban landscapes such as New York City. 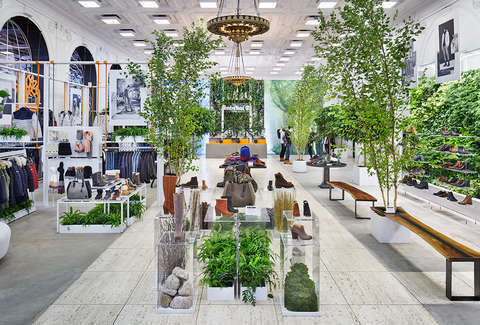 So for a week in October, the footwear and apparel brand is hosting three days of events across the city designed to get New Yorkers in touch with the great outdoors. Whether you’re seeking inspiration to get your hands dirty, or just looking to start small, we’ve highlighted what’s happening at each one. 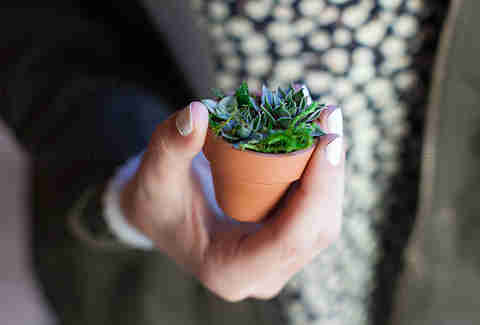 In addition to doling out knowledge about the benefits of greener cities, Timberland will reward anyone who takes their greener lifestyle pledge with a free potted succulent (while supplies last), plus other giveaways. The pledge is simple, but can make a big impact -- think easy tips like giving up plastic straws, using a refillable water bottle (and recycling any plastic ones you find), and joining a local community garden. Enjoy the green space while you’re there by relaxing under the birch tree, where they’ll display your name after you take the pledge. By the end of the day, the trees will be full of names of New Yorkers who committed to make the city a little bit better. The pop-up park may only be in Flatiron for one day, but on Wednesday, volunteers will help Timberland and the Student Conservation Association repurpose elements from the park to become a permanent part of the city. In addition to helping beautify NYC neighborhoods, these elements will give community residents even more green space. Giving back to the planet, helping the city... it’s enough to make you want to get on that personal green pledge, stat. You won’t get wet in the highly Instagrammable “rain room” located inside Timberland’s new experiential store at 5th Avenue and 43rd Street. Instead, you’ll be showered with hundreds of LED lights hanging from the ceiling in a room rigged with convex mirrors. (Be sure to bring a friend to snap a photo for your feed.) Feeling like a walk in the woods? Check out the display cases of new releases and designer collaborations adorned with leaves, grass, mulch, and rocks. Finish your indoor tour of the elements in the snow space, where the parkas and Super Boots hanging out among acrylic snowflakes and cut-out trees will make you feel like you’re wandering in your very own winter wonderland. (No one needs to know it’s still fall.) While the pop-up is open through January, visit on October 19 for DJs spinning tunes plus one-day-only giveaways such as gift cards, Timberland accessories, and even a pair of boots for several lucky winners.